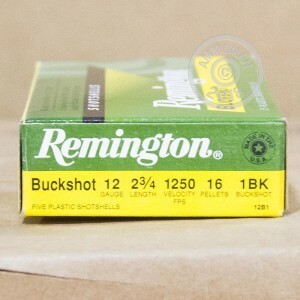 These 2-3/4" shotshells from Remington's Express series use a #1 buck load, trading a slightly smaller pellet diameter for a larger pellet count. Each shell in this box of 5 fires 16 pellets at 1,250 feet per second, creating consistent shot patterns with more than enough penetration to down midsize game such as deer, or stop an assailant in a home defense situation. 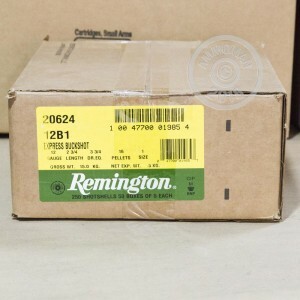 Remington is one of the few companies in the world that manufactures both shotguns and ammo for them. 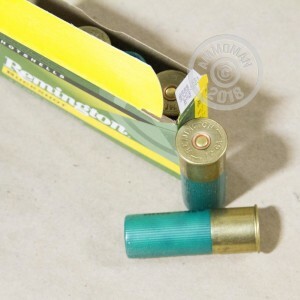 You can't go wrong with Remington shotshells on either price or performance! You'll need more than 5 shots too get some decent range time in, so pick up a few of these boxes. All orders over $99 at AmmoMan.com ship for free; place yours today to rack up double digit savings.